Well, the month-long project that was Me-Made-May has come to an end! I enjoyed it much more than I had expected, and made some interesting realisations about my sewing which will really direct how and what I work on over the next few months. The first, and probably most important, thing I’ve realised is how much I really enjoy the clothes I’ve made. In one way, this encourages me to keep sewing, but in another, it makes me feel I should slow my pace a little and take more time over the process. I didn’t start sewing because I wanted a major wardrobe expansion. While I really want to sew and to learn more techniques, I still don’t want to amass loads of ‘stuff’. So, to balance things out, I’ll be phasing out my RTW wardrobe (I’ve had most of it for several years and it’s really showing that wear) with things I’ve made. Which brings me to the second point I realised over MMM: the range of garments I was able to draw on over the month. I actually hadn’t realised how much I’ve sewn over the past seven or eight months since I started this blog, but my sewing has been focused ona very limited range of garment types. I’m not a whizz with the machine – apart from Tilly’s Coco pattern I’m really not that quick at making things. What I really need to do is to consider the type of project I work on: when I started sewing, I had very few skirts and because they’re so simple to make and to fit, I’ve concentrated on making them above other types of clothing! As a result, I have a lot of skirts and very few tops! I’m trying to rectify these issues by 1. focusing on finishing techniques (like embroidery) and 2. making more tops and dresses. When I started MMM, I thought I’d soon make my first pair of trousers, but I still haven’t found the right material. The downside of buying fabric online is the risk involved – either you take a chance and order something based on the photo and description, or you order swatches. Sometimes, by the time the swatches have arrived, the fabric has sold out! So I’m still keeping an eye out for trouser fabric, but I don’t think I’ll be making them any time soon. One thing I really won’t miss from this month is taking photos of myself! I spend a lot of time at home and our house has very poor natural lighting, plus we don’t have any mirrors you can actually see the whole of yourself in, so taking photos was the biggest challenge! I did, though, really enjoy seeing what MMM outfits everyone was posting to Instagram and I found some brilliant blogs through it. 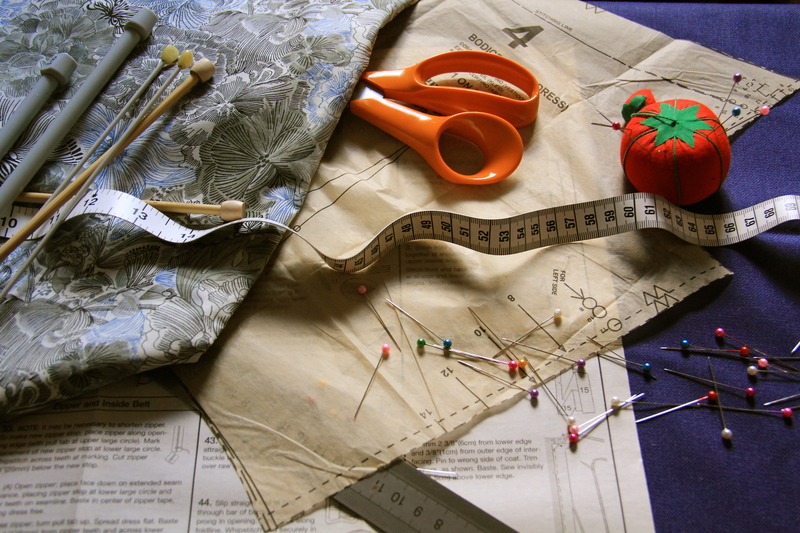 What areas of sewing are you concentrating on for the moment? Did MMM help you re-focus your sewing or knitting? This time last year, I was an avid sewing blog reader but had yet to really get stuck into making my own clothes. I loved seeing what people wore for Me-Made-May 2013 and I’m delighted to be participating in it this year. I plan to wear at least one item that I made myself every day in May, but I don’t intend to post daily photo updates (so if you’ve subscribed to this blog, don’t worry about being suddenly inundated with Lady Stitcher selfies!). Instead, I’ll do just one or two round-up posts to document my participation. One of my main incentives for taking part in MMM’14 is the opportunity to actively review my technical progress in sewing. I’m also aiming to use Me-Made-May to work out more outfit combinations than I currently have in rotation and find more interesting ways to wear the things that see less light of day. I’ve only made about a dozen garments so I’ll have to get pretty creative in how I put things together if I’m going to get through the whole month without lots of duplication! The MMM project should also help me identify gaps among those garments. I already know that I want to try my hand at making trousers, but I suspect that I should also focus my sewing more on making tops, shirts, blouses etc. By the end of May, I hope to have devised a shortlist and some kind of (feasible!) plan for sewing specific pieces to fill those gaps. It also feels like good timing for some sewing reflection: lately I’ve been trying to assess why I wear certain things I’ve made much more than others and why there are some garments (i.e. trousers) that I have yet to even attempt making. If you want the full low-down on Me-Made-May ’14, you can find all the details over on So, Zo’s blog. Have you participated in Me Made May before? 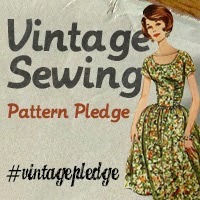 Did it help you to set new sewing challenges or to reconsider unworn me-made garments?